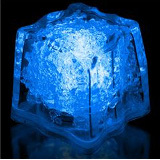 Dimensions: Diameter: 14.25 in. Thickness: 1.50 in. Uses 3 x AA batteries (which are already included). Easily replaceable! 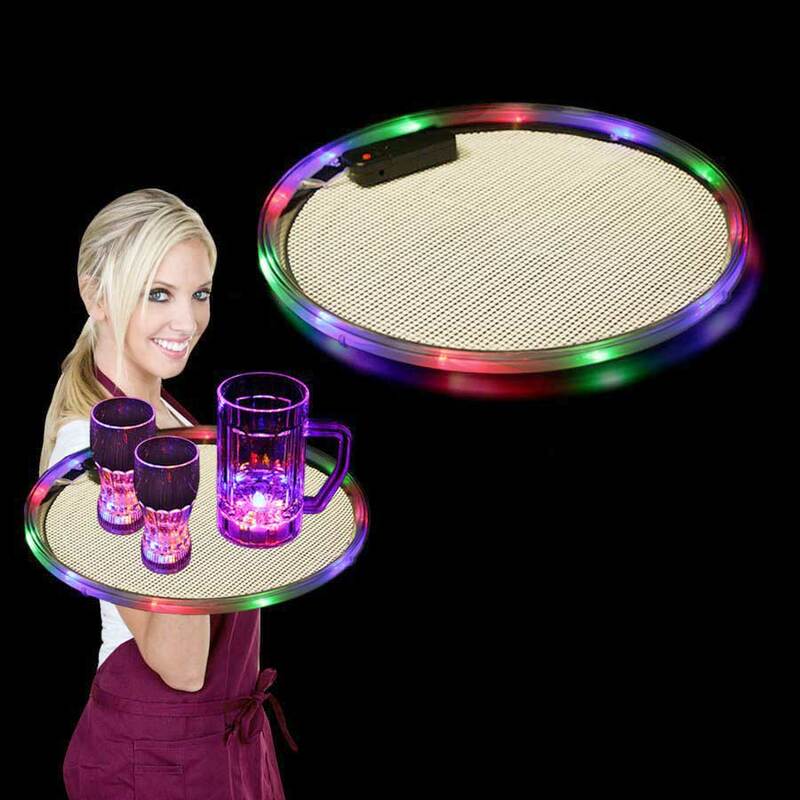 Multicolor LED Bar Tray for Waiting Tables, add light up style to your service! The light up trays have a rubber liner to help prevent spillage. The trays are light weight, for easy carrying. 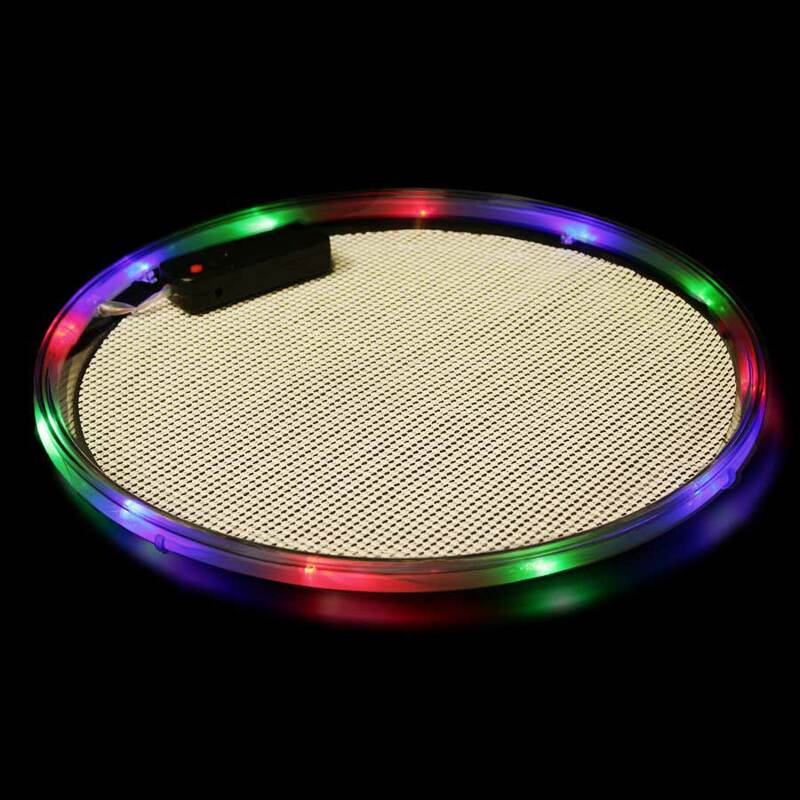 Multicolor LED Bar Trays have a dazzling parade of bright Red, Blue and Jade LED lights around their outer rim. 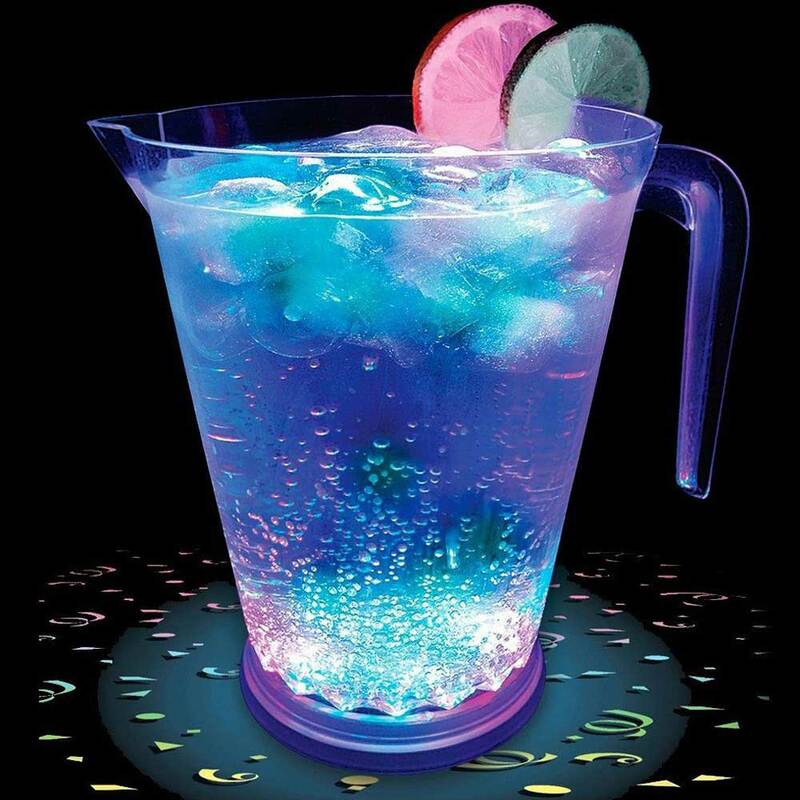 These lights will help attract thirsty patrons to you or serve as an ultra beautiful cocktail tray for house parties. To activate slide the ON/OFF switch to the ON position, then press the black button near the battery pack. There are 3 modes: un-synchronized flashing, synchronized flashing and still. Dimensions: Diameter: 14.25 in. Thickness: 1.50 in. 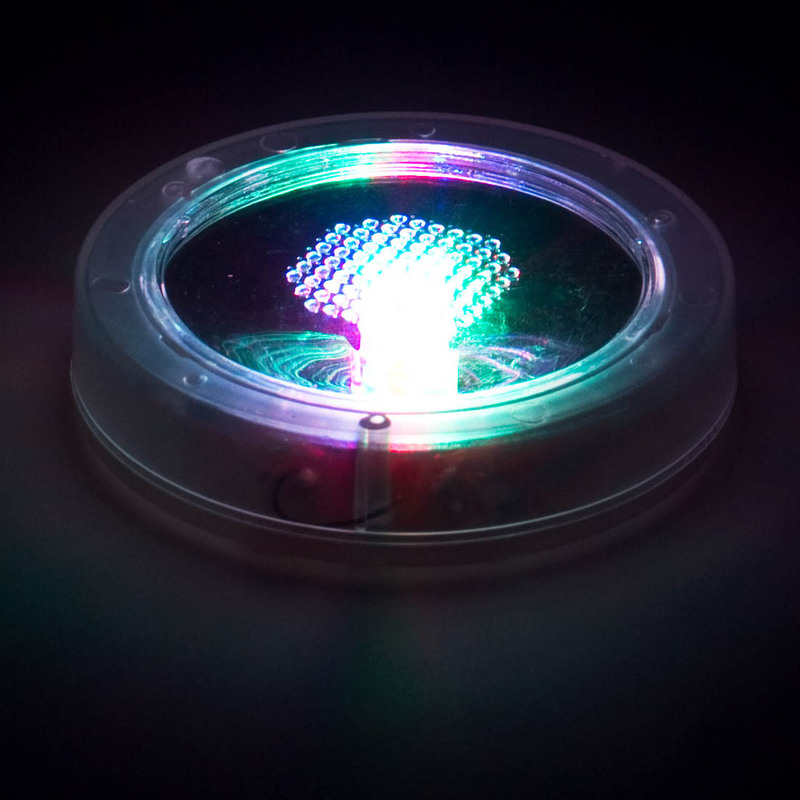 LED Colors: 4 Red, 4 Green, 4 Blue. Batteries: Includes 3 AA Batteries. Batteries for this item are replaceable. Packaging: Each piece in a plain white box. 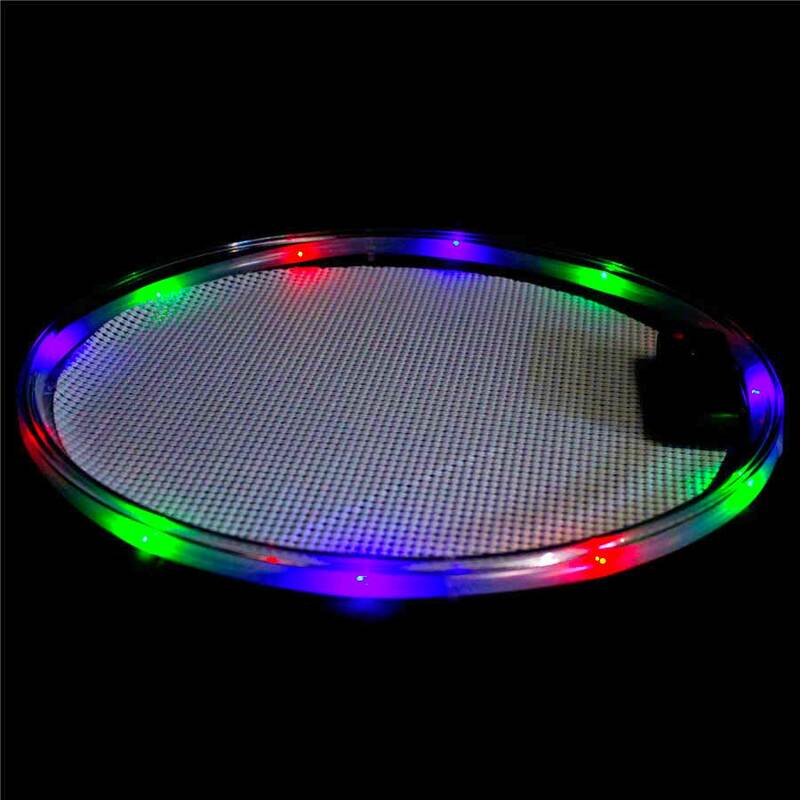 This amazing LED Serving Tray makes a great gift for any occasion are great for that hard-to-shop-for party person. If you're looking for a really cool gift, look no further!